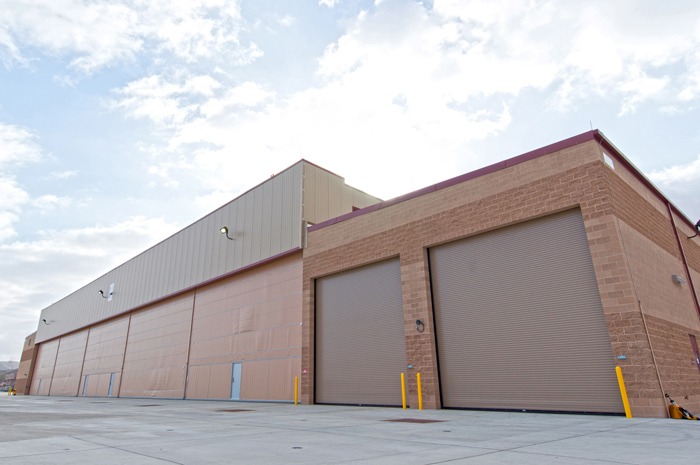 The MALS-39 Aircraft Maintenance Hangar will include a Hangar Bay and an attached two-story administration building with a combined gross area of 37,997 square feet (sf). This area will contain offices, engineering shops, a tool room, operational spaces, stairs and elevator, utility spaces, break and training area and male/female locker/restroom facilities. 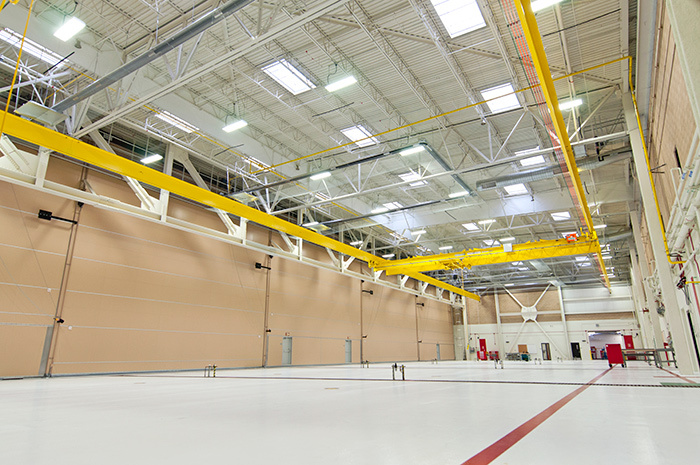 One paint room and one blast room are located on one side, while a tail boom and composite shop anchors the other side. The hangar will be built on a concrete pile and grade beam foundation with structural steel columns, CMU walls, steel roof trusses, metal wall panels and an insulated PVC roof.